BioV™ Clarity Blends are Drug-Free and are specifically formulated from combining a variety of our BioComplete™ Natural Herbs and consist only of healthy USDA approved, Organic, all-natural foods and botanicals that offer a holistic alternative in promoting and maintaining the body's utmost health with modern, up to date science. 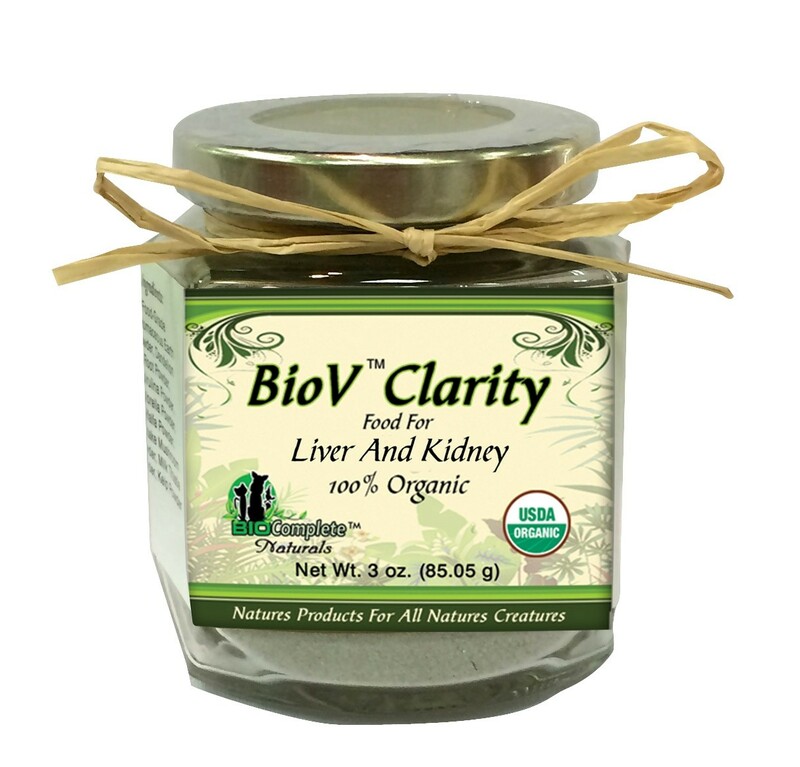 BioV™ Clarity Liver and Kidney Blend - Special blend formulated to cleanse the filtering organs of the body and reduce inflammation.. Disease is the result of toxicity and inflammation. The liver and kidneys are the primary filters that rid the body of toxins and they produce many hormones and enzymes that control the use of nutrition. These organs also have a remarkable ability to regenerate and repair themselves when they are given the foods that support this. 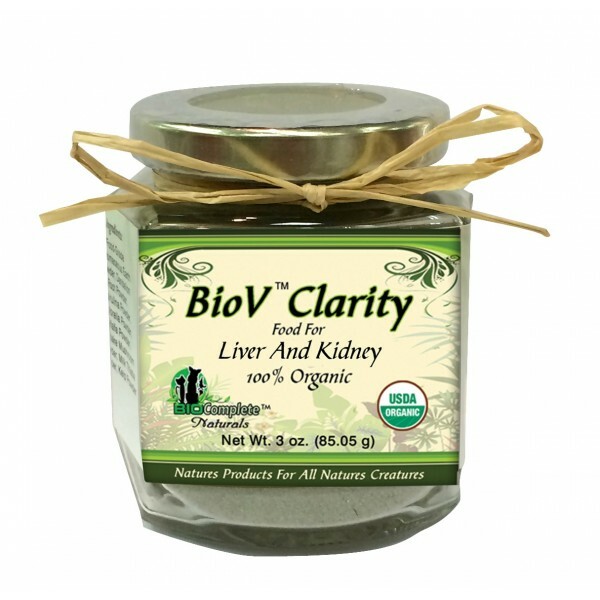 BioV™ Clarity Liver and Kidney Blend - This blend is formulated to cleanse the filtering organs of the body and reduce inflammation.. Disease is the result of toxicity and inflammation. The liver and kidneys are the primary filters that rid the body of toxins and they produce many hormones and enzymes that control the use of nutrition. These organs also have a remarkable ability to regenerate and repair themselves when they are given the foods that support this. These blends are foods that have been known to support health while enhancing nutritional benefits as well. Like all foods, there is no residual toxic build-up or retaliation to cause problems. As food, most can be used safely for you and your pets. These herbal blends can be added directly to the diet or used to make broths and herbal teas. Capsule form is also available upon request. A core of all BioV™ Clarity Blends is the cleansing and maintaining of the filters of the body, the liver, kidney and lymphatic system. When these are functioning properly, there is far less stress on the body as a whole. As a food, there is no standard dosage but realize these are micro nutrients. As such start with same amounts of ½ tsp per day and adjust. Ingredients - A proprietary blend of: Triphala, Milk Thistle, Dandelion Root, Shiitake Mushroom, Turmeric and Diatomaceous Earth Powder (food grade). © 2016 Fiesta Pet Deli. All Rights Reserved.